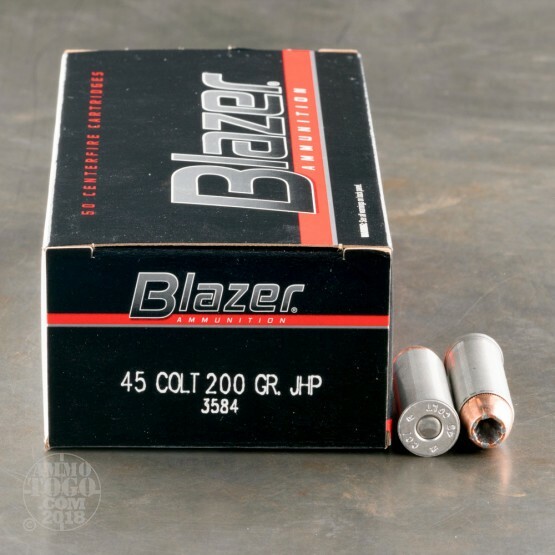 A highly affordable option for practice or self-defense, Blazer 45 LC ammunition delivers the ballistic uniformity, accuracy, reliability and power of service ammunition. 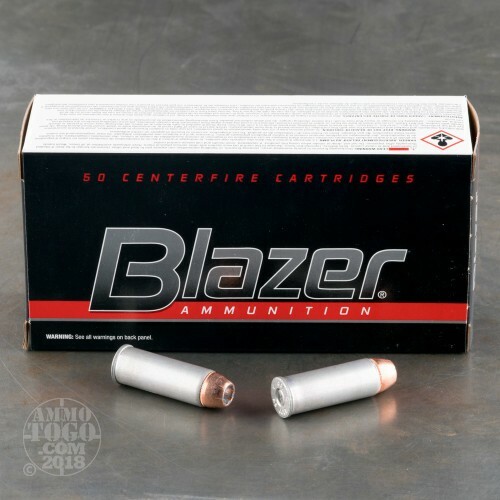 Manufactured at the CCI facility in Lewiston, Idaho, CCI Blazer ammunition features cases made from a high-strength aluminum alloy similar to that used in 30mm anti-tank rounds. Since brass cases are a large portion of cartridge expense, using aluminum minimizes consumer cost without compromising performance. This new production .45 Long Colt ammunition is loaded with clean-burning CCI propellants to produce optimum velocity. Leaving the muzzle at 900 feet per second, each round produces a consistent muzzle energy of 360 foot pounds. 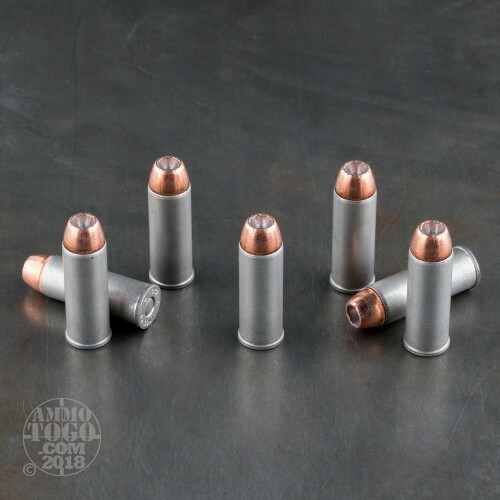 Manufactured with non-corrosive Berdan primers, each cartridge features a 200 grain jacketed hollow point (JHP) projectile. These JHP bullets provide controlled penetration and dramatic terminal expansion to produce a devastating wound. JHP rounds also provide easier feeding and in semi-auto handguns. Aluminum cases are coated to provide extra corrosion resistance, making these rounds ideal for long-term storage. Each economically-priced package contains 50 rounds.